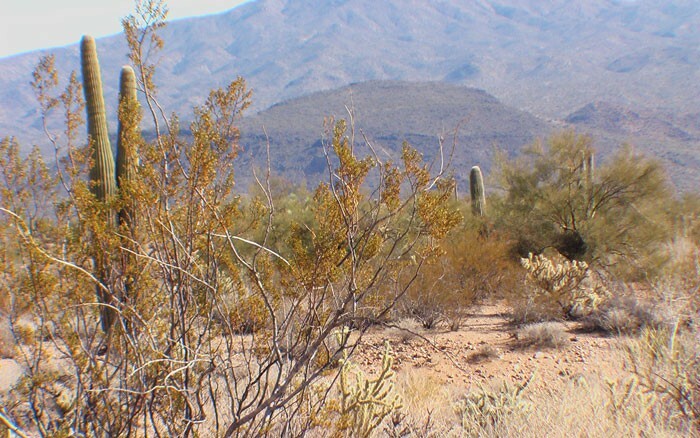 ABOUT THE LAND— Hillside river valley settings and panoramic hilltop views of the Big Sandy River Valley, this pristine land for sale in Arizona may be one of the best undiscovered scenic view land sites for Arizona ranch real estate investments in the state of Arizona. 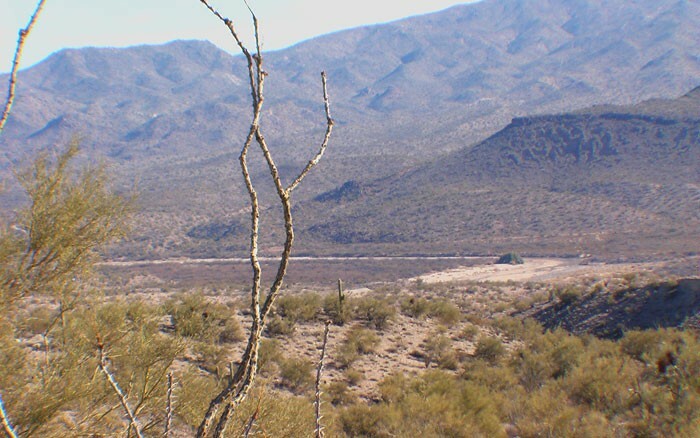 The Big Sandy River valley vistas, rolling ridges with panoramic high mountain views describes this ranch land for sale in Arizona to a tee. 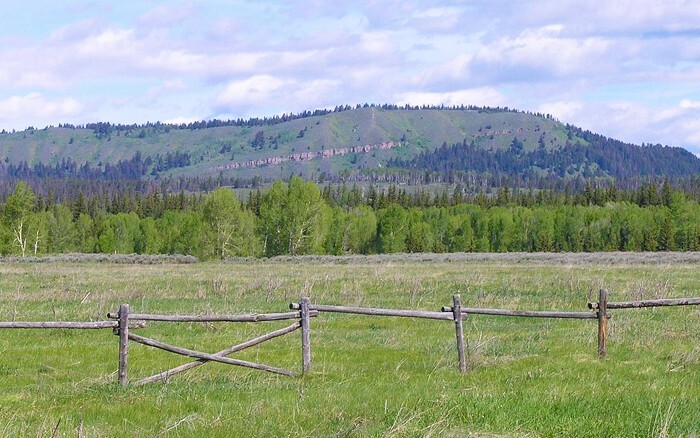 This ranch property is surrounded by Bureau of Land Management land on all sides. ATTRACTIONS— This gently rolling hillside property is ideal for an exclusive horse ranch land site or a private secluded dude ranch. Definitely a great camp retreat for an RV getaway. Hiking, horseback riding or quads on this property will be the best recreation Arizona has to offer. If you are a lake enthusiast, Alamo lake is only 30 miles south of the property and can take care of your boating or fishing needs. The surrounding land is home to wild horses, wild burros, trophy mule deer, javelina, quail, rabbits, an occasional fox, mountain lion, and many different species of birds. 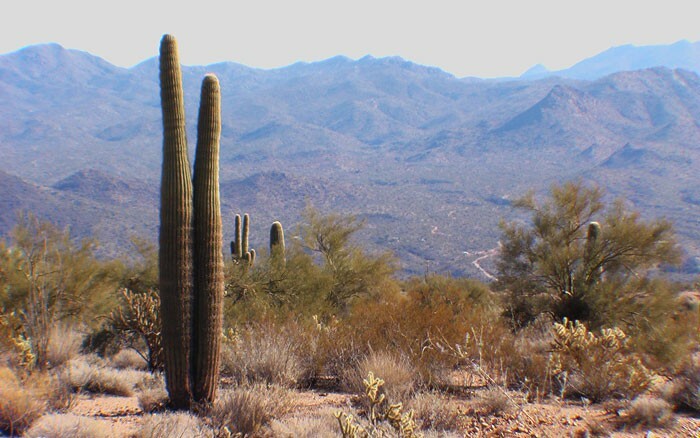 The ranch property is covered with an abundance of saguaros, mesquite, Palo Verde, joshuas, ocotillo, and many other varieties of plants. Old mining claims like Signal and McCracken mines are only a few miles from the property site. The ranch property is a rock hound’s paradise with slopes and washes rich in mineral deposits. 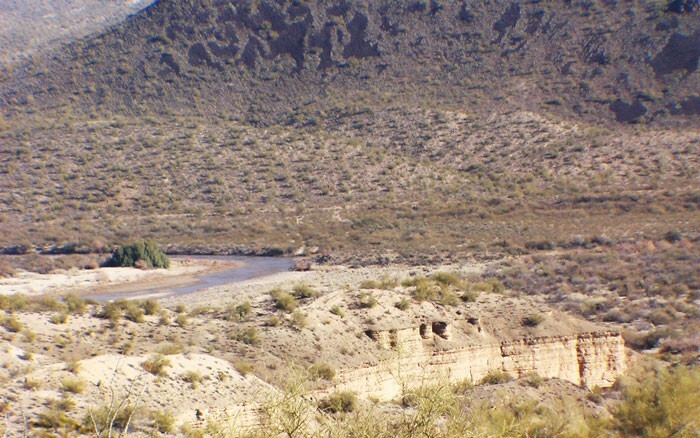 FEATURES— Ranch acreage is situated at about 2,200 to 3,000 foot elevations for a moderate sonaran desert, ranch climate. Water is available with wells and an electrical utility co-op is within 2 miles from the ranch boundary. Septic systems are used in this area. 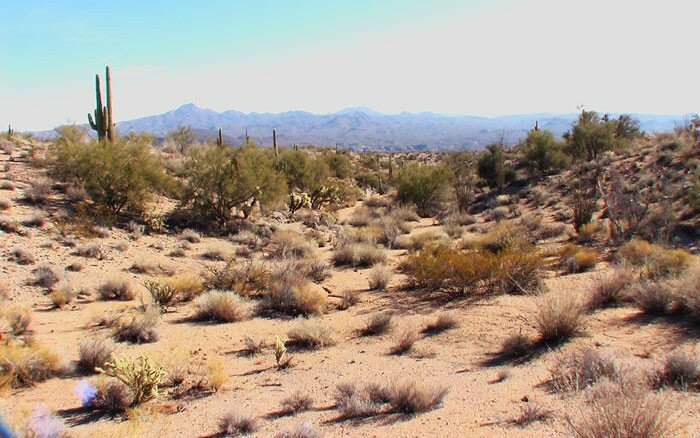 LOCATION— This Mohave county, AZ land for sale is located just south, 16miles from Wikieup Arizona, and situated just 2 miles west of the Big Sandy River basin on Highland Road west off Signal Road. Take Signal Road west off mile marker 132 on Arizona US Highway 93, only 1.75 hours north of Phoenix, Arizona. Located north of N.W. Phoenix about 1.75/hrs drive and 1.25 hrs from Wickenburg Arizona just off highway state route 93. 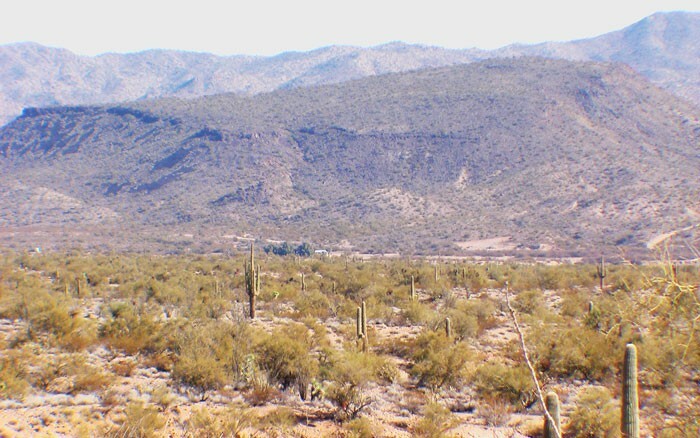 PRICING— AZ LAND FOR SALE: Prices start at $3,500/$5,900 an acre.This Arizona acreage for sale is available from 40-160-640 acre land parcels. The ranch headquarters is situated along the Big Sandy River just off Signal Road near the northern boundary of the ranch. The building improvements consist of an old, rustic, ranch house approximately 1,200 square feet with 3 bedrooms and one bathroom (please see photo  above) and a metal sided tack shed. There are three holding pens constructed of wire and wooden post. There is an irrigated and sub-irrigated pasture at the headquarters. Historically the ranch has irrigated up to 300-acres. More recently, 80-acres have been irrigated and currently there are approximately 3-acres in permanent Bermuda Grass pasture. The older fields have grown in with mesquite tress which could be cleared and put back into production. Irrigation water is supplied by a diversionary right from the Big Sandy River. The water is diverted using a temporary earthen dam into a dirt ditch, then transported to the fields. This is a surface diversionary water right on file with the Arizona Department of Water Resources as #36-19867. Supplemental irrigation water is supplied by a 100 foot deep well with production capability of 700 gallons per minute. The well is not currently in operation. Domestic water is supplied by a private well with an electric submersible pump and pressure tank. Livestock water on the ranch is supplied by the Big Sandy River, 4 windmills, 4 solar wells and 4 earthen tanks. The capacity as recommended by the Bureau of Land Management is for 140 animal units on a yearlong basis. The annual operating plan may differ from year to year based on annual rainfall and available forage. Elevation at the headquarters is 1,550 feet and varies throughout the ranch from 1,300 feet along the Big Sandy River near the southern boundary to 3,500 feet in the McCracken Mountains. Topography is mostly rolling hills with numerous drainage areas, with some steep mountain peaks in the southern portion of the ranch. Vegetation is primarily tobosa, curly mesquite, galleta, alfileria, indian wheat, squirrel tail, and various grama grasses. Browses are mesquite, catclaw, jojoba, mountain mahogany, cliffrose, oakbrush, and winterfat. Public electricity is available at the ranch headquarters; telephone is by cell only. The ranch is located in an area rich with mining history and encompasses the historic ghost town of Signal, which once had a population near 20,000 people. 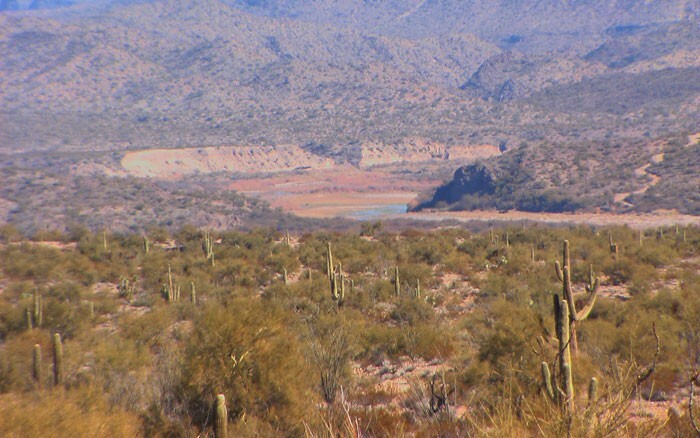 This is a beautiful, Mohave Desert, working cattle ranch, with 15 miles of the Big Sandy River running through the allotment. Located between Kingman and Wickenberg, off of Highway 93, Big Sandy Ranch and Signal Ranch represent the ideal get-a-way for those who want to rediscover the true “Arizona West”. Part of one of Arizona’s original four counties, Wikieup shares an interesting history with the whole of Mohave County. Prior to the coming of the white men in the valley, the place where the county is situated today used to be the settlement of the Mojave Indians. The Indians used to cultivate corn and other food crops aided by the rich, river-nourished soil of the valley. However, the Mojaves are not alone in the region. They have fierce rivals in the tribe of the Tonto Apaches. Mostly, the two tribes do not seek disputes with each other but all that changed with the coming of the white men. The settlement of the white men pushed both tribes farther from their source of livelihood. This resulted in several disputes between the white wen, the Tontos, and the Mojaves. In one of these disputes, two white girls were abducted. The white men laid the blame on the Mojave tribe but they found out after two years that the girls were taken by the more savage Tonto Indians. The girls were rescued by the Mojaves and were actually treated as part of the chief’s family.